Our Peace in Christ printables have been a big hit this year! Our printables come with fun birthday cards, bookmarks, and art prints that are perfect to print and give as a simple birthday gift for your Young Women and leaders. 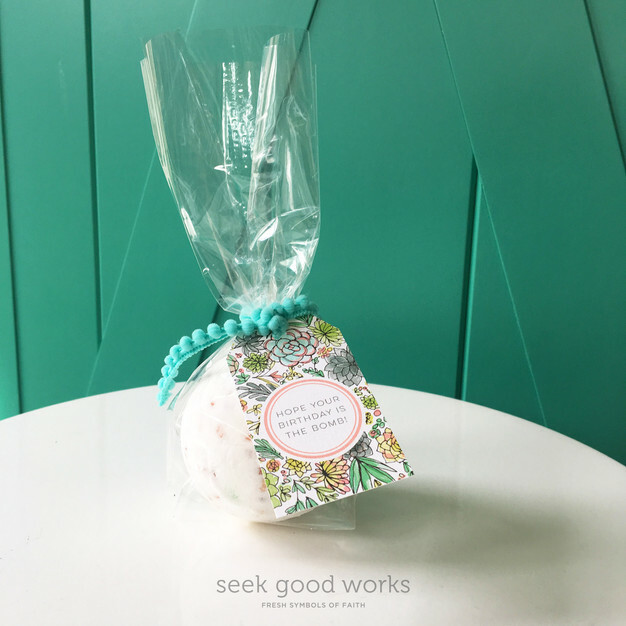 This year in our ward we are giving bath bombs! I didn't know they were all the rage until I was in the grocery store the other day and saw a full-on bulk purchase style display of them. And, man, did it smell like heaven. These are perfect for the young women that you love. For our Young Women, we made these little tags that say, "Hope your birthday is the bomb" and thought you might like to use them, too! It's our treat. 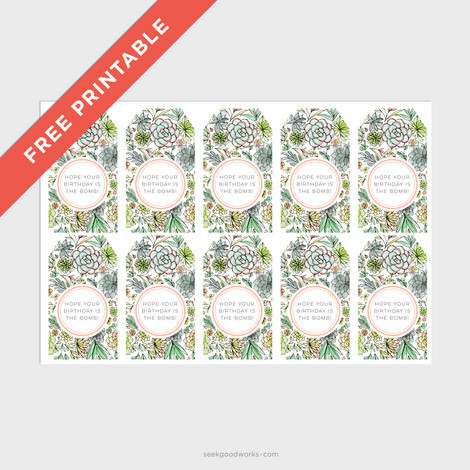 Get your free printable tags here. See the rest of our Peace in Christ printables here! Enjoy and don't forget to lift and love!